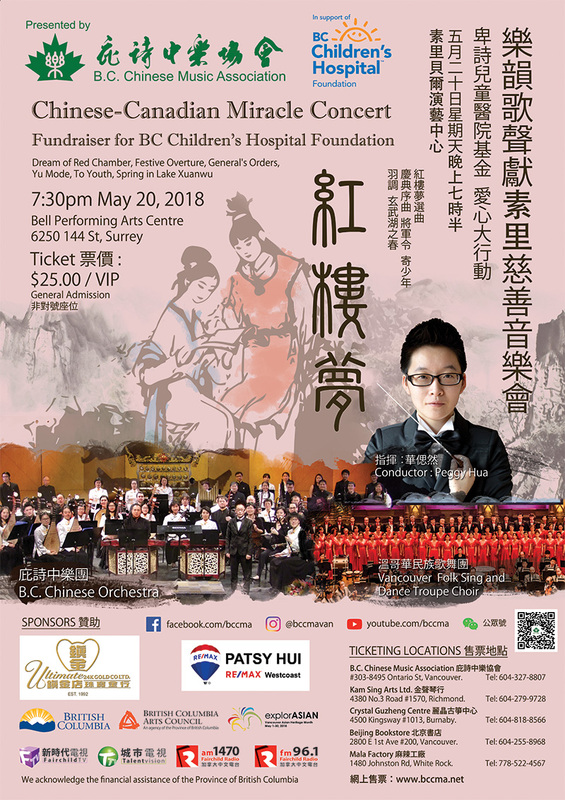 To help promote Chinese culture and music to the fast-growing city of Surrey, BCCMA accepts the invitation from Surrey Cultural Foundation, and will host a concert named “The Golden Melodies” in Surrey Bell Centre on May 20th Sunday. 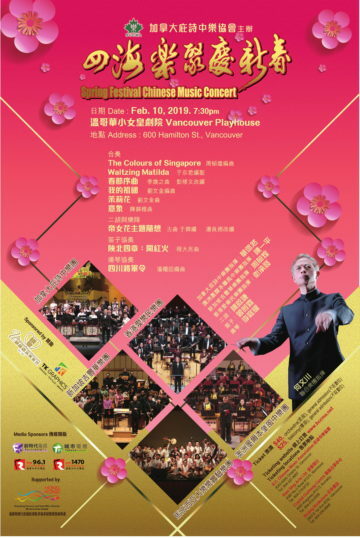 In this concert, BCCO will play together with Vancouver Folk Sing and Dance Troupe Choir to perform a classical piece Dream of the Red Chamber. “Dream of the Red Chamber” is an aspiring Chinese masterpiece remarkable for its detailed observations of the feudal societies of the mid-18th century. Renowned Composer Liping Wang encapsulated the spirits of the story when creating the soundtrack for the 1987 TV drama version of “Dream of Red Chamber”. This music series has long been a beloved classic for generations of Chinese audiences. More than 60 instrumentalists and 50 singers, led by conductor Peggy Hua, will participate this fascinating performance. At that night BCCO will also present Celebration Overture, Song of the General, Mode of Yu, and many others. Established in 1995, BCCMA aims to provide multiple platforms to learn and promote Chinese music culture to the local communities and to enrich Canadian multiculturalism. The association currently has four subsidiaries: BC Chinese Orchestra, BC Chinese Music Ensemble, BC Youth Chinese Orchestra and BC Children’s Choir. The estimated total of over 200 members (including both music lovers and amateur musicians) have participated in the activities of the BC Chinese Orchestra since its establishment. The Orchestra has brought valuable opportunities for Chinese music lovers and improved Chinese music education for the local society.